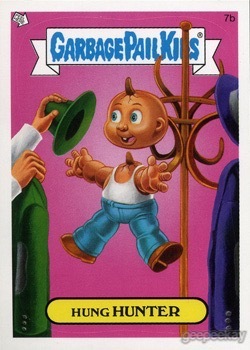 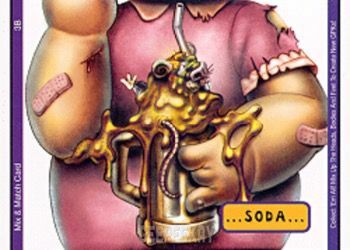 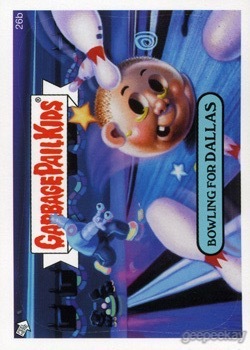 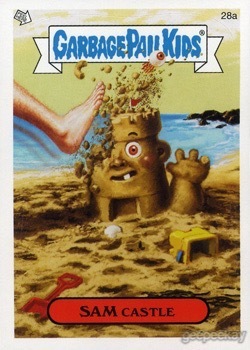 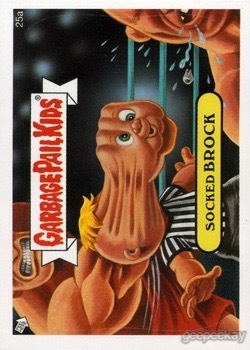 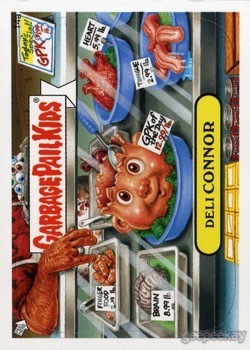 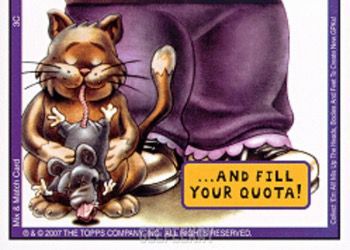 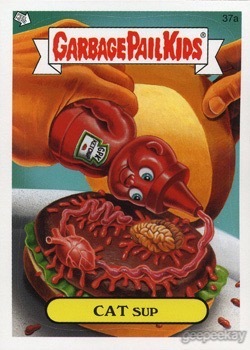 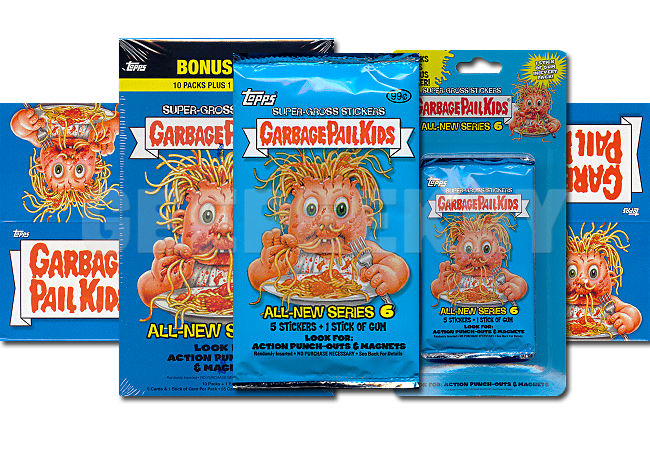 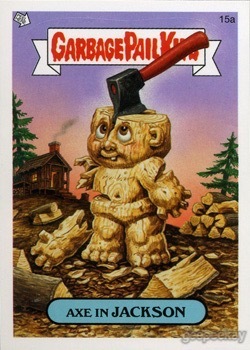 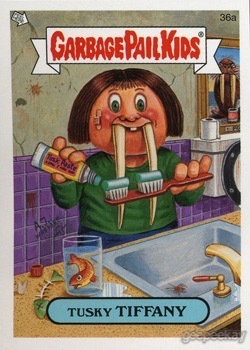 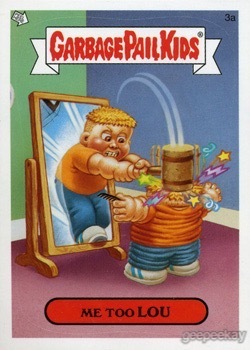 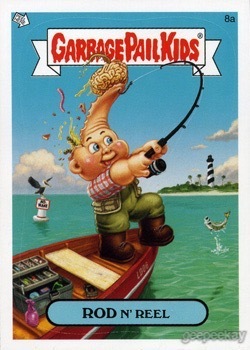 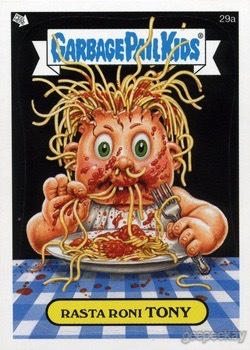 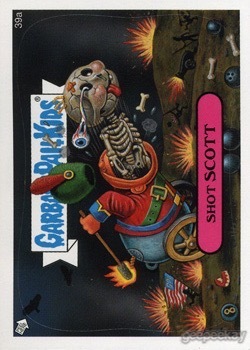 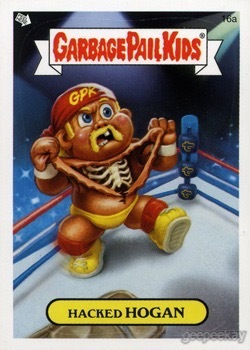 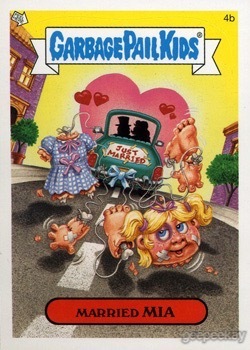 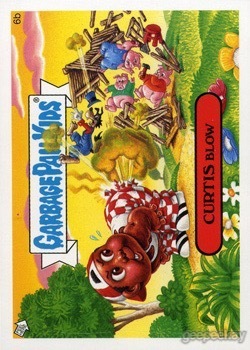 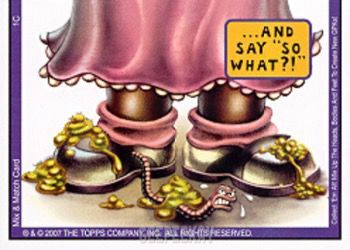 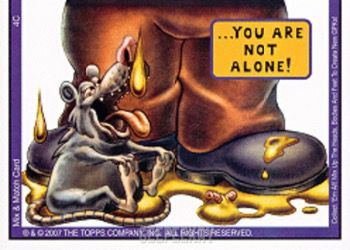 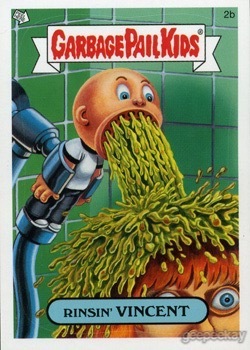 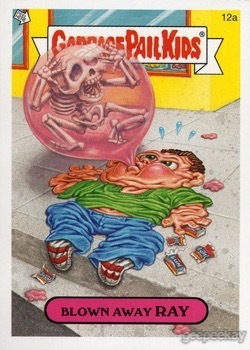 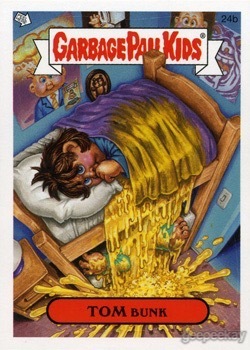 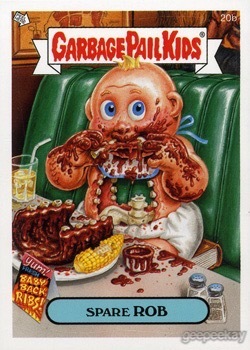 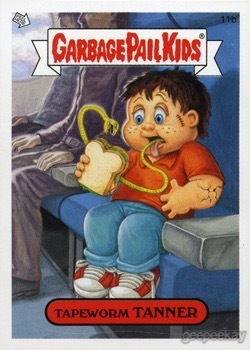 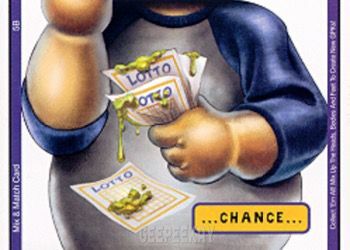 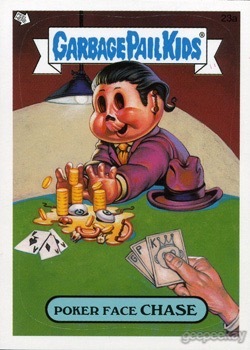 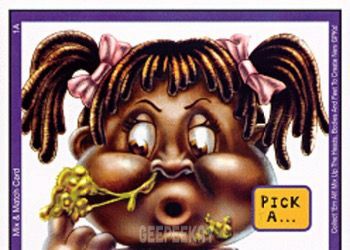 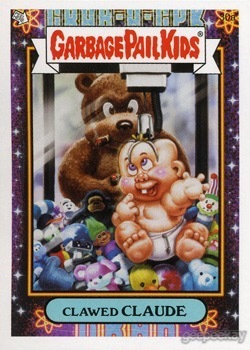 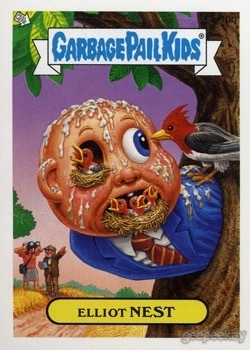 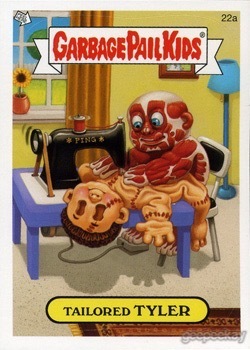 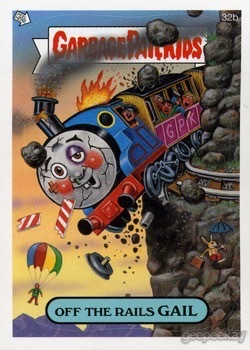 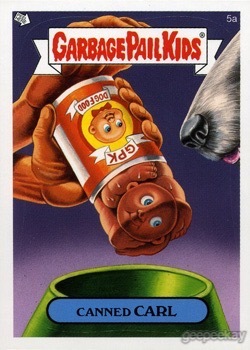 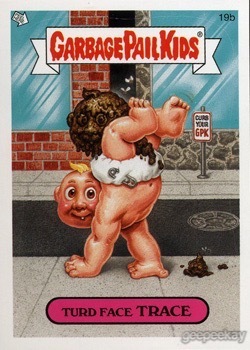 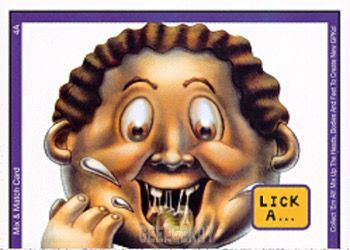 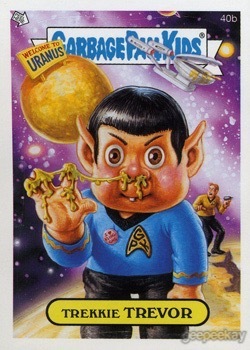 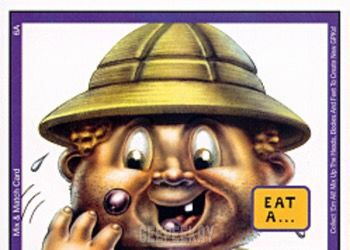 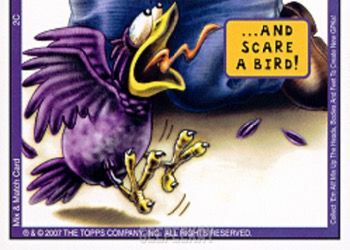 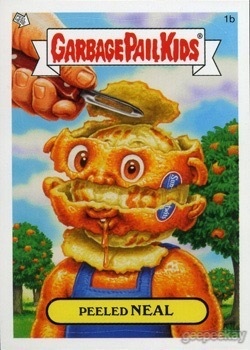 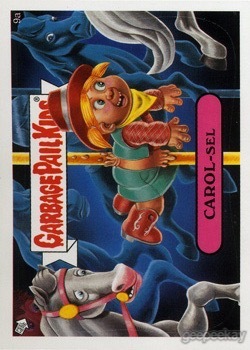 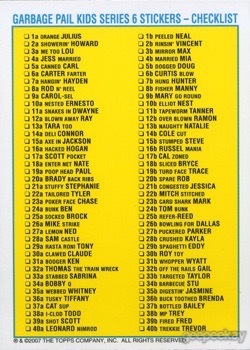 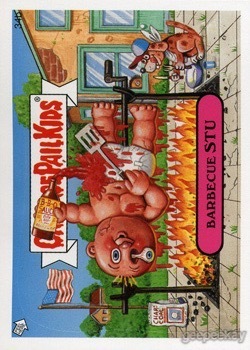 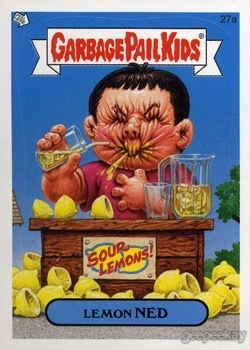 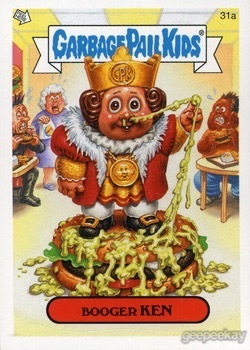 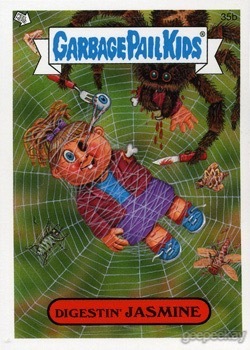 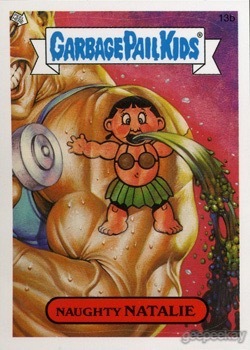 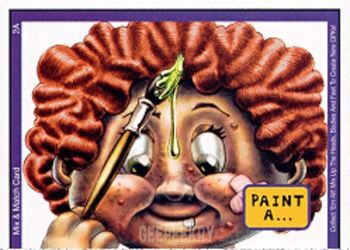 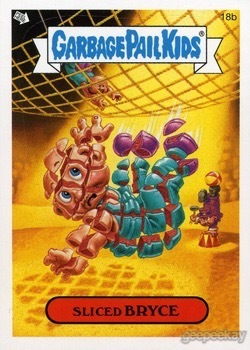 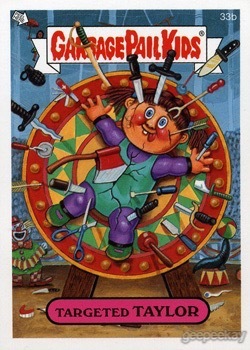 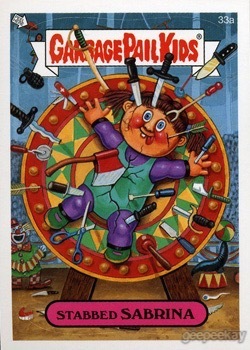 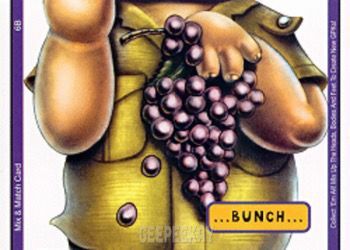 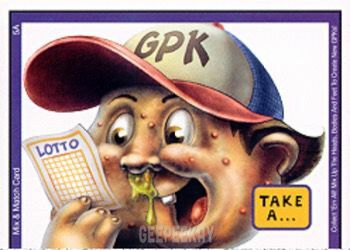 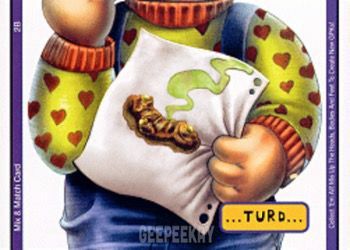 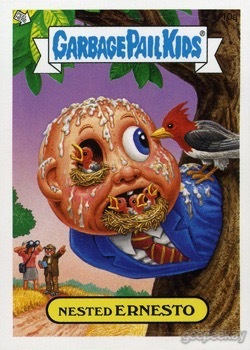 The mix-and-match card backs (pictured above) were a first for GPK. 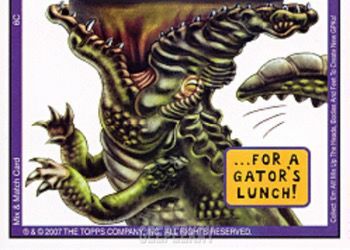 There were 18 total pieces (6 head, 6 body, 6 feet) that could be assembled together to create one character. 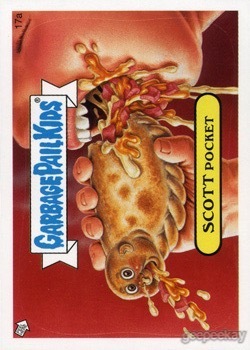 The artwork was completed by Scott Gross (based off of Jay Lynch-created gags and sketches).